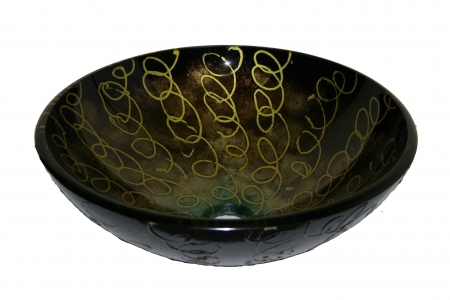 The rich dark shade of the tempered glass material of this vessel sink is enhanced with a whimsical design done in gold. This design will add a fun touch to the decor of the bathroom. 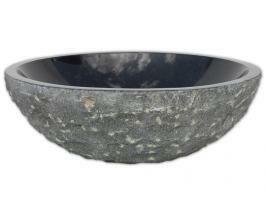 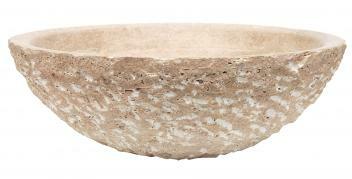 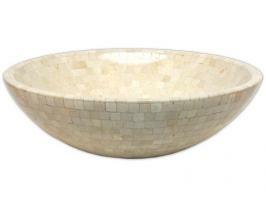 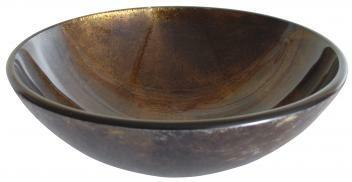 The classic round shape and the colors of the piece will work well with any vanity.